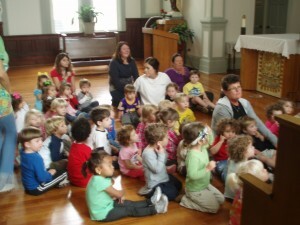 The mission of Cub Corner, a ministry of the Sisters of Mount Carmel, is to provide an environment in which we can work with others to build a new Metropolitan New Orleans by caring for and educating young children and their families. We set out to promote positive change through interaction among the cultural, economic, racial and religious groups within our community. At Cub Corner Preschool, our love for God’s children and our passion for teaching come together in a positive and nurturing environment to foster each child’s development socially, emotionally, developmentally, and spiritually. 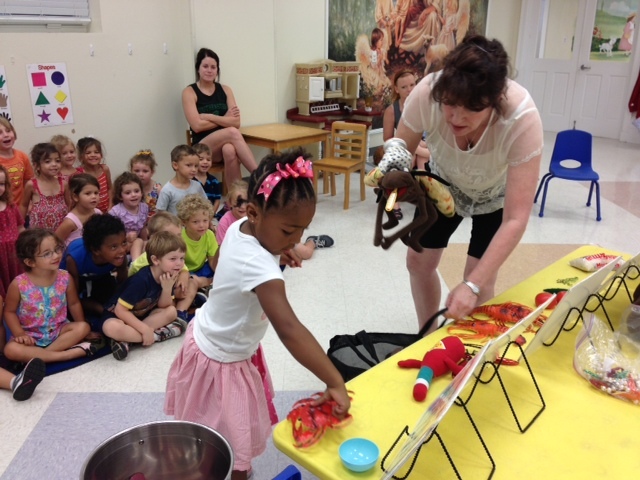 Our programs are designed to provide for your child’s growth and development through play, creativity and socialization. Our family of dedicated, trained teachers and staff will expose your child to stimulating experiences, social interactions, individual and group activities, and skillful guidance in a safe, fun environment. Your child is not just a number at Cub Corner. He/she is part of our family, and we revel in welcoming God’s little ones to Cub Corner each day. Cub Corner Preschool is a State of Louisiana licensed Class “B” daycare facility and provides care for children ages six weeks to four years of age. JOB OPENINGS: Cub Corner is now accepting applications for teacher assistants and substitutes. If you are interested, please fax your resume to Elizabeth Coe at 504.286.8676.
must have a signed doctor’s note.